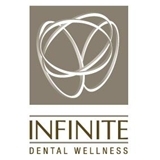 Infinite Dental Wellness (Glendale) - Book Appointment Online! Infinite Dental Wellness is the premier "Green Dentistry" office in the area leaving the most minimal ecological footprint possible. They accomplish this through a nearly paper free office, digital x-rays, Energy Star compliant appliances and all LED and energy efficient lights. They take every measure to ensure they have the most cutting edge technology best for the patient and the environment. Infinite Dental Wellness and Dr. Kiraj are also concerned with whole body wellness as it pertains to your oral health. They offer Oral DNA testing which can predict susceptibility to periodontal disease at the molecular level, dental stem cell banking and VELSCOPE oral cancer screenings. I.D.W. uses Air Aroma technology with an exclusive custom blend of scent called Infinite Calmness throughout the office that has a stress reducing effect making your dental appointment a less stressful one.